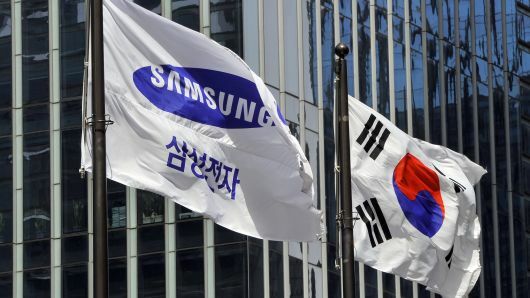 SEOUL (Reuters) - New York-based hedge fund Mason Capital Management has filed a legal claim seeking at least $175 million from the South Korean government as compensation for damages it says it sustained from a 2015 merger of two Samsung Group affiliates. Mason Capital’s claim follows a similar action by U.S. activist fund Elliott Management which in May sought $670 million in compensation from South Korea over its role in the Samsung affiliates’ merger. An official at South Korea’s justice ministry said on Tuesday that Mason Capital filed a notice of intent seeking a resolution through the Investor-State Dispute Settlement mechanism. and Cheil Industries in 2015, caused damages to Mason Capital Management’s investors. "Korean government officials, from the highest level, through to the NPS, an organ of the State, acted to manipulate the vote motivated by bribery, favoritism to the Lee Family, and open hostility toward non-Korean investors," the notice said. The merger deal was at the center of the corruption scandal involving South Korean politicians and business leaders, leading to the impeachment of former President Park Geun-hye and arrest of Samsung Group heir Jay Y. Lee. "Mason Capital Management’s claim is similar to that of Elliott’s and the ministry is putting our utmost effort to resolve the issue," the justice ministry official added. Mason Capital could not be reached immediately for a comment.